Taking this private tour means you’ll be able to choose a time, between the hours of 5:30am and 3:30pm, to greet your guide and depart by bus from Aguas Calientes. 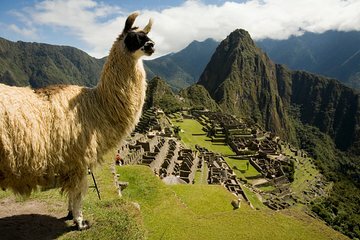 Following a 20-minute drive to Machu Picchu’s hilltop perch, you’ll enter the archaeological site and begin a 2.5-hour tour of the ancient Inca citadel, characterized by its terraced hills, resident llamas, and dramatically protruding mountains. Enrich your historical knowledge at archaeological highlights including the Main Temple, Royal Tomb, and the Sacred Plaza, and capture spectacular photographs at vantage points on the way to the Sun Gate and Temple of the Sun. A private guide means you'll be able to ask numerous questions and customize your itinerary according to your interests. Plus, your guide is more than happy to snap photographs of you and your party throughout the experience. 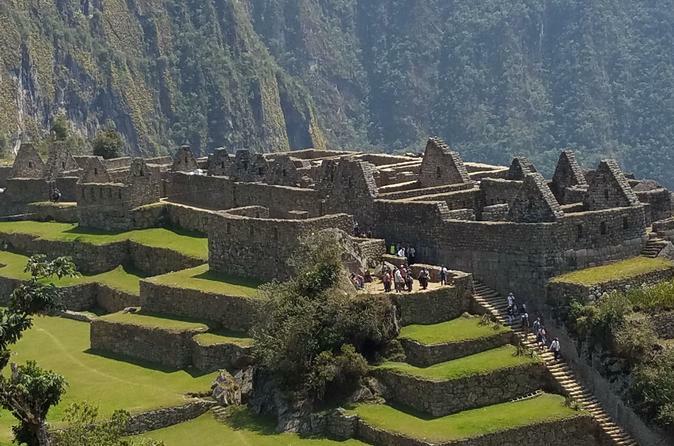 After thorough exploration of South America’s most famous archaeological site, you’ll return to Aguas Calientes by bus. Bring comfortable shoes to walk and camera.